Sure, cash will still have a place in the economy, as will physical banks, but as technology progresses, banking will continue to move online. 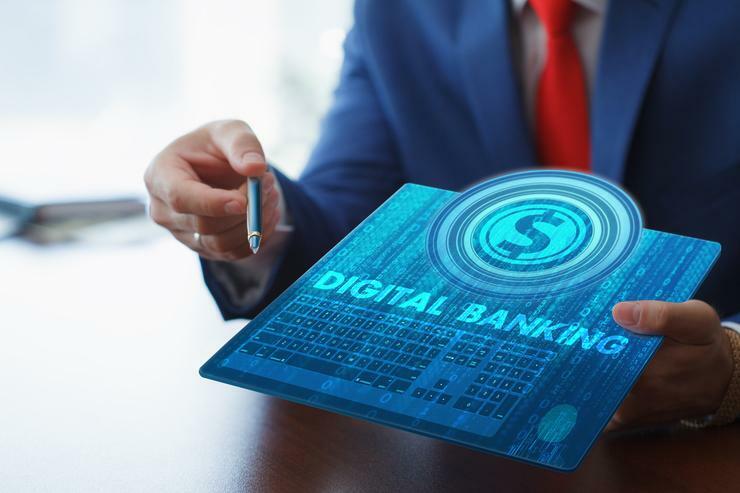 Whether banks hire Python developers to create dynamic, easy-to-read code within their infrastructure or data scientists to better understand cash flow within the bank, companies are turning to all kinds of technical expertise to usher in the era of online banking. However, even though online banking is becoming more popular, there are still risks with online banking. It’s crucial that you are careful with sensitive information and your security measures because there are hackers out there that actively steal from people online to make their living. If you want to try online banking, but are unsure of the right safety protocols, try these 4 tips to improve your security. 1. Don’t use unknown wireless networks. When you’re somewhere new, it’s tempting to log into a local WiFi network. After all, it would be nice to check your email and get some work done without relying on cellular data, but this poses a big risk to the security of your information. Many WiFi networks can be what professionals describe as a honeypot—a trap meant to lure in visitors and steal their data, including cookies and cached items, email addresses, saved passwords, and more. To avoid this situation, make sure that you know a WiFi network is real before using it (i.e. if you use a WiFi network named “Starbucks,” make sure there is a Starbucks nearby). Most importantly, never log into your bank account using a public network as public networks are susceptible to hackers. Instead, be sure to only check your bank account from your own personal network or an ethernet connection. 2. Continually update your software. 40% of the market doesn’t update their software with any regularity. It’s understandable. Updating software takes time, and it’s not always clear what the benefits to any particular update are. But here’s the deal. A lot of these software updates fix security issues. If you want the safest online banking experience, make sure that all of your software is up to date, whether it’s your mobile device, your desktop OS, or your firewall/antivirus software. Not only will this process improve the performance of your devices, but it will make them safer for online banking too. 3. Use a unique password. If you want to improve the safety of your online banking experience, then having a great password is crucial. 55% of internet users have one password for the majority of the websites they use. Using a password more than once greatly increases the risk of that password being compromised. While your bank may have security measures that keep your password safe, if you use that same password on a less safe website, the risk of that password being taken is much higher. For the biggest benefits, your banking password should be entirely unique and ideally a sequence of letters, numbers, and symbols that are random and unrelated to each other. If you have a hard time remembering passwords, considering trying a password manager like 1Password or LastPass. 4. Only use websites that begin with HTTPS. In the late 2000s and early 2010s, HTTPS became widespread online as the standard protocol for websites. Prior, websites ran on HTTP, but as security became more important to user experience, they increased protection, and so HTTPS was born (the s is short for security). To find out whether a website is HTTPS, just look at the URL and take a look for yourself. If a site is encrypted through HTTPS, the left side of the URL bar should also have a green lock symbol, ensuring that your information is safe on that particular website. If a website is just HTTP, feel free to use it as it likely won’t harm your computer. However, do not give such a website any personal or financial information about yourself, as there is no assurance that your information will be safe. Online banking is incredibly useful and ensures that you can stay up to date on your payments with ease while making life simple. After all, who wants to drive to the bank just to cash in a check when you can scan it in online instead? Use the safety tips listed above, so that you can enjoy the benefits of online banking while minimizing its risks. Happy banking!